Emirates fly 17 times daily to Dubai from a choice of 6 UK airports, offering convenient onward connections to over 140 destinations. Onboard, passengers can enjoy world-class service, regionally inspired gourmet cuisine and over 2,000 channels of the latest award-winning inflight entertainment –plus Wi-Fi connectivity on selected aircrafts. On flights from Heathrow, London Gatwick, Manchester and Birmingham (commencing March 2016) travellers can experience the Emirates A380 featuring Private Suites and onboard Shower Spas in First Class, an Onboard Lounge and flat-bed seats in Business Class, and even more room to relax in Economy. On the ground, First Class and Business Class passengers can take advantage of a complimentary Chauffeur-drive service, expedited check-in, dedicated baggage handling and luxurious lounges – ensuring a seamless journey from start to finish. Atlantis The Palm, Dubai is the majestic 5 star resort situated on The Palm, a man-made island that has captured the world’s imagination with its magnificent scale and ingenuity. From the moment you arrive, you will be immersed in a dazzling world of imagination, pleasure and luxury of 5 star hotels. 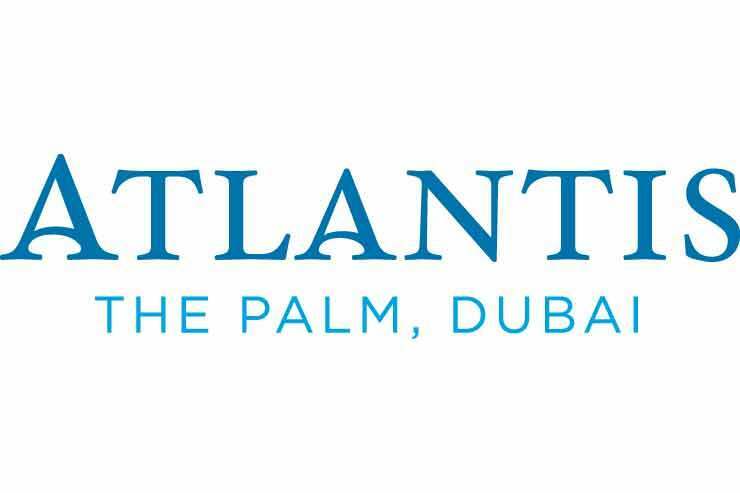 Atlantis, The Palm is an aquatic wonderland by the sea offering relaxation and thrills for couples and families alike. From the hotel architecture to the award-winning restaurants and must-visit aquatic attractions, this is one of Dubai’s luxury resorts that never ceases to amaze the senses. Attraction World is the leading supplier of theme park tickets, experiences and worldwide attractions to the UK travel trade. With over 8000 attractions in 50 countries we aim to have something for everyone! As a B2B business Attraction World is 100% committed to the trade, and as such fully understands how important it is to sponsor events such as The TTG Top 50 Travel Agencies. We always strive to provide our agents with the best possible reasons to sell to their customers. Whether it’s an unbeatable value for money ticket option, or even a UK exclusive ticket, or a value-added benefit to pre-purchase, we do our utmost to provide the perfect reasons to sell our products. Remember - many of the world’s most famous attractions often sell out months in advance – so if your customers don’t book in advance they could well end up missing out. Don’t forget selling add-ons is an excellent means to earning additional revenue – so not only do agents increase their customer service but their bottom line profit too – a win/win situation! Welcome to the world of Belleair! In 2016 Belleair is going further than ever to bring you the holiday of your dreams. We have built on the tremendous success of our 2015 Malta and Italy programme and we have now embarked on a brand new journey to bring you more than 20 of the most popular and desirable European and Worldwide destinations. From Mediterranean hotspots to dynamic cities and exotic beaches of the Far East; idyllic Indian Ocean Islands to action-packed resorts in Florida; South Africa to Worldwide Cruises and more. You can find yourself in a perfect destination with Belleair! Birmingham Airport is the UK’s third largest airport outside London and the UK’s seventh largest overall, handling just under 10 million passengers per year. With over £300 million invested in the Airport recently, Birmingham now boasts world class facilities and state-of-the-art infrastructure, including a newly extended runway. Adding just 400 metres means aircraft can now fly further, bringing new long-haul destinations within direct range for the first time, including the Far East, the West Coast of the U.S, South America and South Africa. The Airport has also welcomed a number of new arrivals to its departure lounge in 2015, including Victoria’s Secrets and Hugo Boss, two brand new stores which offer a wide range of luxury retail at tax free prices. New Food and Beverage offerings have opened this Summer, which in addition to the new airline services operating from Birmingham gives passengers a variety of choice and excellent reason to use Birmingham Airport as their UK gateway. Efteling Theme Park Resort is Europe’s third largest theme park, open 365 days a year. With unforgettable adventures for all the family from total wonder in the Fairytale Forest and on the children’s rides for the little ones to thrilling rollercoasters for the teenage daredevils. Efteling is based in the south of Holland in Kaatshuevel and is easy to get to from airports, ferry ports or Eurostar: Amsterdam – 1.30 hrs, Eindhoven - 30 minutes, Calais 2.5 hours, Rotterdam/Hook of Holland– 45 mins. Efteling’s thrills include a variety of rollercoasters including one that takes place in the dark, an unusual double rail wooden rollercoaster, bobsleigh ride and a wild water ride. The newest ride, opened in summer 2015 is our exhilarating new rollercoaster ride, Baron 1895, which has a mining theme. A treacherous 37.5m freefall down a mineshaft followed by a half loop, half roll at 90km per hour followed by a Zero G toll (an inside out corkscrew where visitors will momentarily experience weightlessness) into a fast spiral should satisfy any adrenaline junkie! Gran Canaria is like a continent in miniature, alive with varied natural beauty, from the stunning dunes of Maspalomas to volcanic interior. Gran Canaria is a big player when it comes to quality. It perfect climate makes it a year round holiday paradise. This island has a great offer of luxury resorts as well as boutique hotels and all facilities present high standards of comfort and service. The good test of upmarket holidays in Gran Canaria is a fantastic offer of SPA centres and great choice of seven magnificent golf courses. For a completely different experience stroll through the cobbled streets of Vegueta, the old quarter of Las Palmas de Gran Canaria or climb the scenic roads in serpentine twists up into the spectacular central massif. From this vantage point, you have only to gaze about you to see why UNESCO has declared almost half of the island as a Biosphere Reserve. 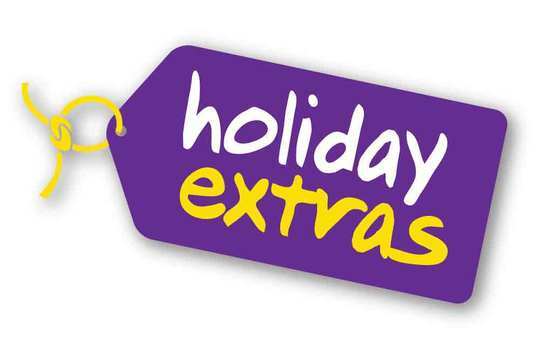 Holiday Extras is the UK market leader for travel ancillaries, with airport parking, hotels, lounges, car hire and travel insurance as our main product offering. We aim to enhance your customer's holiday experience from the moment they leave the front door, and we hope that we can help to create unforgettable, magical memories in partnership with travel agencies across the UK. At Holiday Extras, 2016 will be dedicated to our trade relationships. Our travel industry partners are vital to our vision for hassle-free travel, so we are delighted to be sponsoring TTG's Top 50 Travel Agencies 2016. For those who may not already know If Only…, the vast majority of hotels in our portfolio are in the five star and five star deluxe categories - with a few hand-picked four star gems that we feel live up to our exacting standards. We specialise in holidays, tours and cruises to three of the world’s most beautiful regions - Arabia, the Indian Ocean and Asia - and our experience and resources are on hand to help agents deliver memorable trips whether for family holidays, weddings and honeymoons, private escorted tours, six star cruising or journeys on some of the world’s great rail journeys in Asia. Our team of 6 Business Development Managers team are also on hand to support retail agents and homeworkers with marketing activities and to provide highly effective product training. Multi-award winning and established for 14 years, we are ABTA bonded and our flight inclusive holidays are ATOL protected, offering agents and their clients true peace of mind. At Jet2holidays we are aware of the value of Travel Agents and it's for this reason that we delighted to sponsor TTG's Top 50 Travel Agencies. The Travel Trades support of Jet2holidays continues to grow from strength to strength, and as a result we have invested even more resource and funds to ensure this continues over the coming years. Jet2holidays are constantly exploring ways to expand the depth and breadth of the package holidays we offer. So regardless of what your customer needs are we have something to suit everybody, and of course we still offer all this for a fantastic low deposit of just £60 per person. In addition we only operate flights with our sister company, Jet2.com, the quality leisure airline. This ensures we can maintain the highest standards from start to finish of every package holiday we sell. You only have to look at the range of brochures on offer to realise our choice is excellent… Beach, Family, City, On Tour and Indulgent Escapes. Also don’t forget our fantastic shopping breaks to New York. With the continued support of the travel trade we are now the UK’s third largest tour operator and have many exciting plans for the coming season. Feel Free to go where the sea breezes take you. With Norwegian Cruise Line guests always cruise on a ship that looks and feels shipyard fresh. We have one of the most modern fleets afloat and now we’re upping the experience with The Norwegian Edge™, a $400 million investment to bring a new standard of excellence across the whole fleet. Guests can savour exciting new dining room and speciality restaurant menus, choose from up to 28 global dining options on a single ship. And with no fixed dining times they’re always free to choose where and when to treat their taste buds. By day, fun, action and amazing activities come as standard. There are adrenaline-pumping ropes courses, thrilling Aqua Parks, climbing walls… or the serenity of the spa. And when the sun goes down, award-winning entertainment including big name Broadway musicals is OMG-mind-blowing. No matter what their cruising style is, there’s accommodation to match. From stylish studios for the solo traveller to oversized, luxury suites and the exclusive enclave that is The Haven; flexible family accommodation with room for all to a Balcony Stateroom made for two. And, what’s more, there’s a whole wide world to discover from Alaska to Australia and beyond. In summer 2017, we have five ships sailing in Europe for the first time ever, including Baltic Capitals cruises on board the fabulous Norwegian Getaway, and roundtrip sailings from Southampton to the beautiful Norwegian Fjords or Western European Capitals. Let you customers discover what cruising is like when they Feel Free. And don’t forget that we’re with you all the way. To help you provide the best standard of service to your customers we offer an extensive array of travel trade support, including presentations, training, webinars, communications, ship visits and comprehensive online marketing support. One&Only resorts are set in some of the most beautiful locales in the world, a rare collection of jewel-like resorts embracing individual authentic styles and personalities born of their local culture. Remote island retreats, enchanting palaces and contemporary ultra-luxurious villas, each feature a genuine hospitality and a lively energy that are unrivalled. 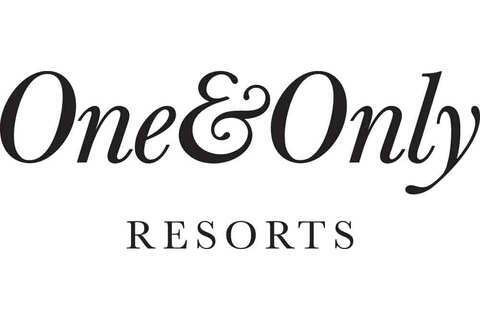 One&Only offers you a truly unique experience offering couples, families and children of all ages the perfect setting for precious and rare moments of romance, adventure, discovery and of life’s most treasured celebrations. One&Only properties include One&Only Reethi Rah in Maldives; One&Only Le Saint Géran in Mauritius; One&Only Hayman Island in the Great Barrier Reef, One&Only Royal Mirage in Dubai; One&Only The Palm, Dubai; One&Only Ocean Club in The Bahamas; One&Only Palmilla in Los Cabos, Mexico; and One&Only Cape Town, South Africa. In 2015, Riviera Travel celebrated an astounding 31 years of providing high quality escorted European & Worldwide tours and river cruises plus offering unrivalled value for money. We are incredibly passionate about our holidays, river cruises and service, and our entire staff both in the UK and overseas is dedicated to ensuring that we meet, indeed exceed the expectations of our discerning and loyal customers. From our roots organising simple coach trips to Paris, we have evolved to be Britain’s largest overseas escorted tour operator offering a fascinating range of European and Worldwide holidays and experiences spread across four Continents and of which we are all extremely proud of. 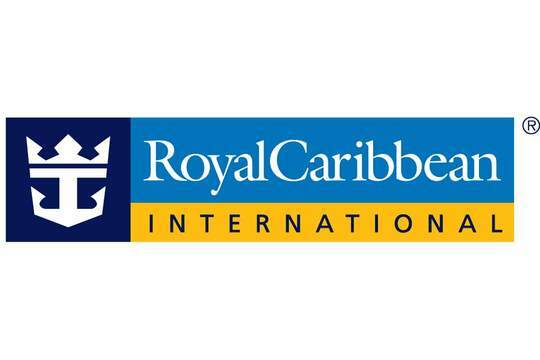 Royal Caribbean continues to lead the way in holiday experiences and innovations. We have 23 incredible ships sailing to over 260 breathtaking destinations across the world, as well as a host of pioneering industry-first features, like the world’s first fully robotic bar, the first ever dodgems at sea and futuristic entertainment that has never been seen on land or at sea. Saga have been creating holidays and cruises exclusively for the over-50s for more than 60 years... and are delighted to be working with you. We offer a world of choice from over 150 countries from Austria to Zambia and everywhere in between (some Saga destinations may surprise you). Our range of holidays covers indulgent all-inclusive stays in luxury resorts, action-packed sight-seeing tours and cruises, safari lodge stays, active explorer adventures, cruises on Europe’s rivers and waterways and ocean cruising aboard our own traditional ships. SuperBreak has been the Travel Trade short break specialist for over 30 years. Which means we have 30 years of knowledge, experience and passion powering everything we do. We're willing to go the extra mile for our customers and genuinely take pleasure in exceeding expectations. Travelport is a travel commerce platform providing distribution, technology, payment and other solutions for the $7 trillion global travel and tourism industry. Travelport is comprised of a Travel Commerce Platform, through which it facilitates travel commerce by connecting the world’s leading travel providers with online and offline travel buyers in a travel commerce marketplace; and its Technology Services, through which it provides critical IT services to airlines, such as shopping, ticketing, departure control and other solutions, enabling them to focus on their core business competencies and reduce costs.